Now that I have been on both ends of the economic spectrum (I have made $8,000 a year and..well..more than that), I have finally realized that choosing simplicity is far better for our motivation and well-being than luxury is. This could be a larger discussion about Capitalism, I am sure…but I’m not going to go there. For now, I’ll stick to the research. Bottom line is: People love comfort. As a musician, I love state-of-the-art practice rooms and gorgeous concert halls. A friend of mine who recently took a tour of Citi Field (home of the NY Mets) told me how the locker rooms may as well have been paneled with gold and how the towels were the fluffiest he’s ever seen. I have friends who cannot wait to have the gorgeous corner office with the floor-to-ceiling windows. Luxury is a very cool thing of which to aspire. There is a different point of view, however. One that has been deeply researched. 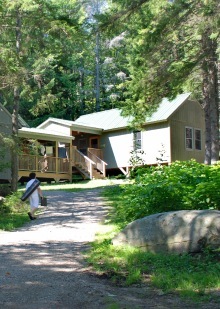 This is why major music camps like Meadowmount (alumni include Yo-Yo Ma, Joshua Bell, and Itzhak Perlman) consist mainly of run down cabins. 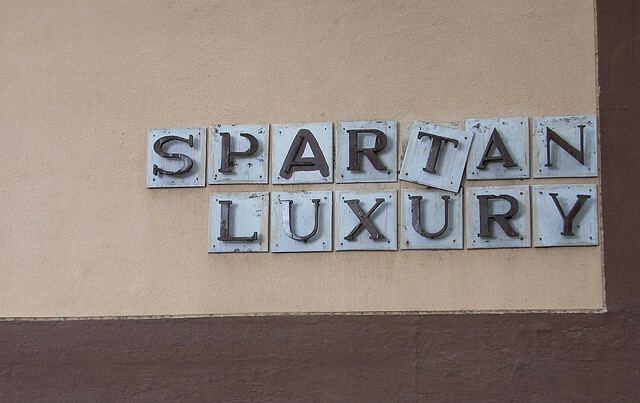 Why does spartan and simple win over luxurious every time? Because it evokes our creativity, ignites our creative potential, focuses our attention, and pushes us to reach for the stars; mostly unconsciously! When you don’t have as much, you have to be resourceful. This is why “frugal folk” in my opinion win every time. My friend Steve recently chuckled to me that he bought a $2000 Brooks Brothers suit on eBay for $200. My wife did something similar with a pair of designer boots. Is this connected to my story above? I think so, and I think you readers can come up with more parallels as well. In retrospect, I felt this way when I had a really nice car. Think about how many people own a Mercedes, yet can’t afford it. Also consider what credit cards have done to our lives. We can buy anything we want, even if we can’t afford it, thus creating a false sense of “having arrived” that doesn’t really exist. Humble spaces and environments are proven to bring out the best in our potential. When given the choice…think about it!